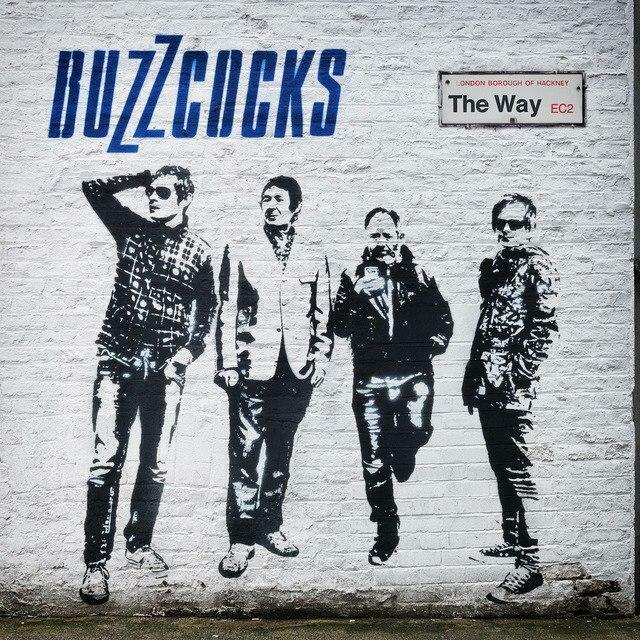 The Way is the sixth album singers, songwriters, and guitarists Pete Shelley and Steve Diggle have released with various new rhythm sections since first taking the band back into the studio in 1993, but it’s the first where they often sound tired and devoid of inspiration. Diggle’s voice is aging more roughly than Shelley’s, but both men have lost considerable range and oomph in the vocal department, in addition to slowing down tempo-wise in general, sacrificing a lot of that sarcastic sense of humor, and narrowing the scope of their sociological commentary. This is to say, complaining about the limitations of communicating via Twitter or meeting dates online (“Virtually Real”) is a lot more predictable, tired, and unambitious than succinctly summing up the existential angst of the modern condition in a mere 14 lines of lyrics (“I Believe”). Add to this the fact that some very minor melodic ideas are stretched way past typical Buzzcocks breaking point (“Third Dimension” doesn’t justify half of its 4:32-length, while “Saving Yourself” goes on for a full 5 minutes), and that other songs lack even the beginnings of a vital hook (“The Way,” “Out of the Blue”) and you have the rare album from these gents that you’ll find yourself reluctant to ever play again. Asked about the success of his band’s second act in 2006, Shelley told me, “After 30 years, if you don’t get it right, you must be doing the wrong thing!” Well, the Buzzcocks did everything right for a good long time. Unfortunately, all good things come to an end.